John Dougherty is a partner in Nutter's Real Estate Department and is a member of the Development, Land Use and Permitting practice group. He advises clients, both nationally and locally, on all aspects of real estate development, acquisition and disposition, leasing and financing. John represents developers, lenders, investors, operators and non-profit organizations including National Development, Farley White Interests, Prime Motor Group, Taurus Real Estate Holdings, Broder Properties, O’Neill Properties Group, Harvey Industries, Inc., General Electric, CIGNA Corporation and Lallemand Inc.
John has extensive experience in the purchase, sale, financing and leasing of downtown and suburban office buildings, retail shopping centers, life science developments, commercial and residential condominiums, multi-family projects, mixed-use developments and industrial properties. He also has extensive experience in structuring and negotiating joint venture arrangements pertaining to complex real estate development projects. $282 million construction and permanent financing of a mixed-use hotel, office, retail and residential project in the “NoMa” section of Washington, D.C.
John is a former member of the Town of Dover Planning Board. 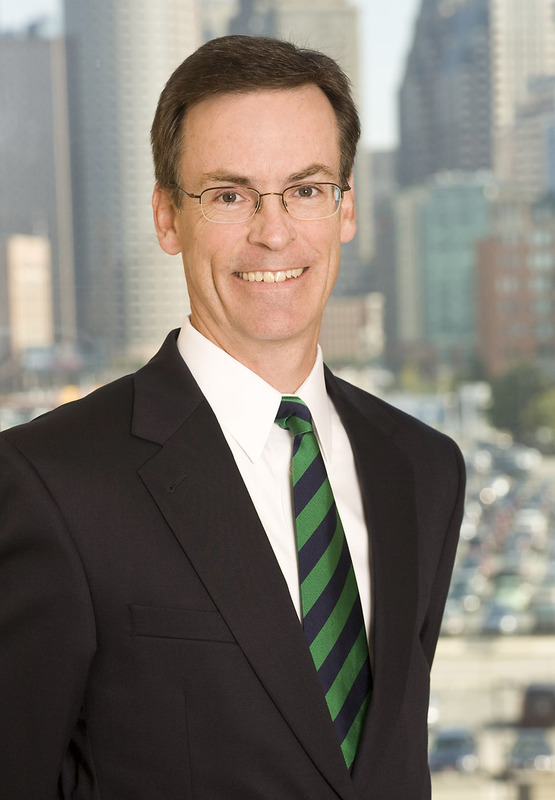 He is also a member of the Boston Bar Association, National Association of Industrial and Office Properties and the Real Estate Finance Association of the Greater Boston Real Estate Board. He is a frequent lecturer at Massachusetts Continuing Legal Education programs and has authored a chapter of the MCLE Commercial Real Estate Primer regarding mortgage loans. Prior to practicing law, he was a corporate lender at the Philadelphia National Bank. Representation of owner-developer in the acquisition, financing and leasing of a five building office park comprising 356,000 square feet located in Lexington. Representation of owner-developer in the acquisition, financing and leasing of a 65,000 square foot research and development facility located in Waltham. Representation of owner in the acquisition and financing of its 55,000 square foot corporate headquarters office building located in Waltham. Representation of owner-developer in the leasing and disposition of a research and development and light manufacturing complex comprising 600,000 square feet located in Beverly. Representation of owner-developer in the acquisition and financing of a single tenant 80,000 square foot office building located in Chelmsford. Representation of owner-developer in the acquisition, financing and leasing of a two building office and lab complex comprising 90,000 square feet located in Billerica. Representation of owner-developer in the acquisition, financing and leasing of an office and lab complex comprising 200,000 square feet located in Watertown. John advised on the leasing of retail and office space on behalf of the developer of a 1,280,000 square foot mixed-use project on the former Polaroid Campus in Waltham. John is a frequent lecturer at Massachusetts Continuing Legal Education programs and has authored a chapter of the MCLE Commercial Real Estate Primer regarding mortgage loans.